Police at UNLV are making students and faculty aware of a recent crime trend happening on campus. 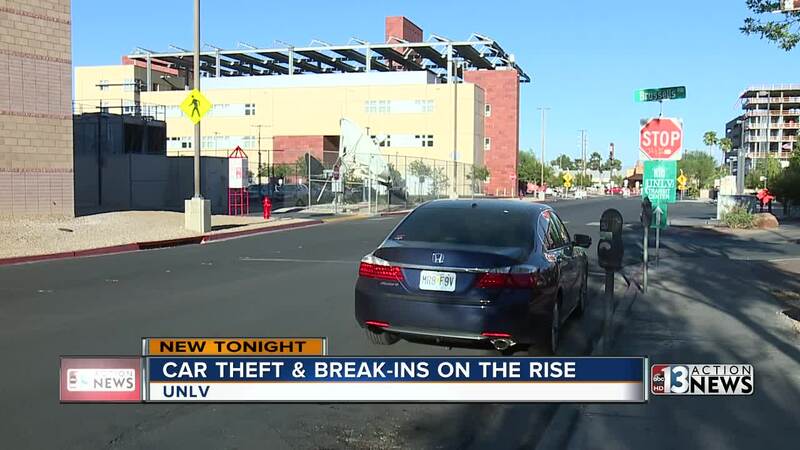 The UNLV Police Department issued a statement Thursday warning students of an increase in vehicle-related crimes. This includes theft, burglary and vandalism. These crimes have been reported at various parking lots and garages on the Maryland Parkway campus, as well as the parking lots near Legacy LV, according to police. This alert isn’t sitting well with students on campus Saturday. Police are urging anyone parking on campus to be aware of their surroundings at all times and to report any suspicious activity in any of the lots to UNLV Police. 13 Action News has reached to UNLV Police to find out how many crimes have been reported and what their next steps will be to tackle this issue.